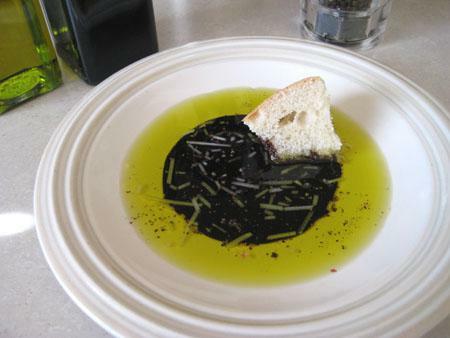 The only debate is whether inexpensive balsamic vinegar (not the traditional DOP stuff from Modena) is an acceptable substitute for red-wine vinegar. 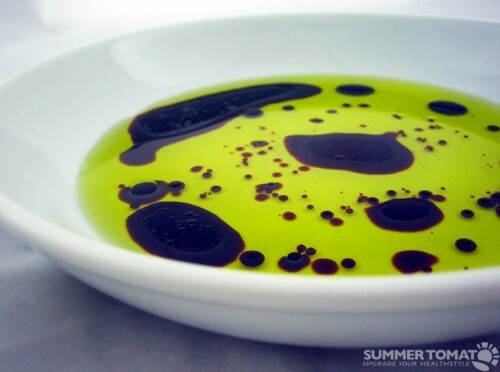 Purists would say emphatically “No” but the number of Florentine neighborhood restaurants that bring the sweeter version of vinegar to the table seems to argue for, at least, an acceptable option to the Food Rule. 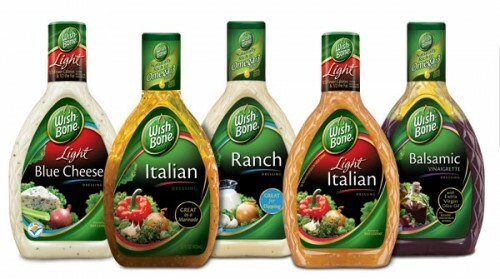 Italian Dressing, known and loved in the United States (as well as Canada, the U.K and most of the British colonies), is a vinaigrette-type salad dressing, consisting of water, vinegar or lemon juice, vegetable oil, chopped bell peppers, usually sugar or corn syrup, and various herbs and spices including oregano, garlic, fennel, dill and salt. 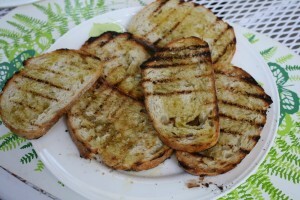 Onion and garlic is often added to intensify the dressing’s flavor. 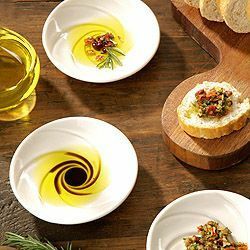 Usually it is bought bottled or prepared by mixing oil and vinegar with a packaged flavoring mix consisting of dehydrated vegetables and herbs. 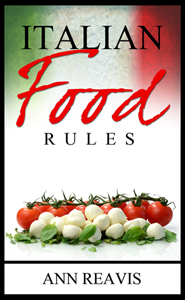 North American-style Italian dressing, and especially Creamy Italian, which consists of the same ingredients, but with buttermilk or mayonnaise added to make it creamy, is not acceptable to the Italian palate. (“Che schifo” or Che esagerazione!” says Francesca.) Don’t ask for it in a restaurant in Italy or particularly from the cook in an Italian home. 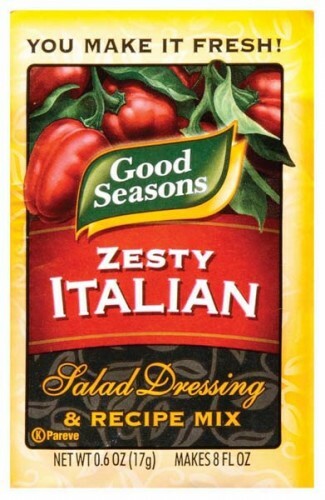 Caesar Dressing is much more American than Italian. 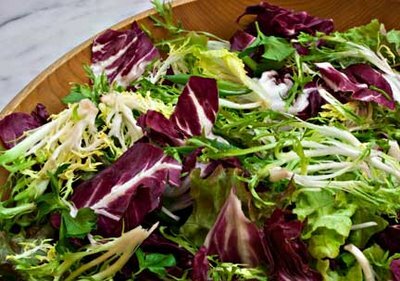 The most reliable story of its origins reports that Caesar Cardini created the salad and its dressing in Mexico. Caesar (born Cesare) came from near Lago Maggiore. He and his brother Alex emigrated to the U.S. after World War I. The Cardini’s lived in San Diego, but operated a restaurant in Tijuana to circumvent Prohibition. 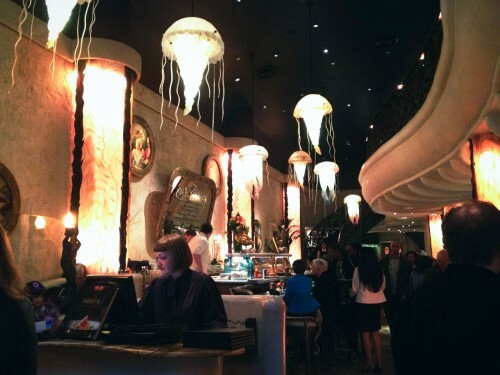 According to Caesar’s daughter Rosa, on July 4th 1924 the salad was created on a busy weekend at Caesar’s Restaurant. 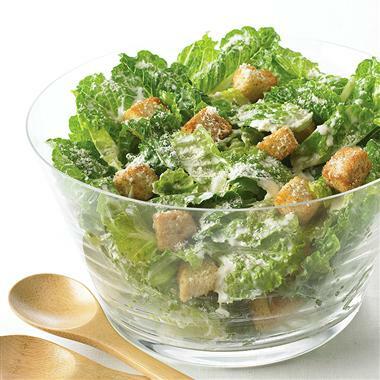 It is said that Caesar was short of supplies and didn’t want to disappoint the customers so he concocted this salad with what was on hand: romaine lettuce and croutons dressed with parmesan cheese (another Food Rule, coming soon), lemon juice, olive oil, egg, Worcestershire sauce, garlic, and black pepper. To add a bit of flair, he prepared it at the table. That last bit was the only thing truly Italian about Caesar Salad – a salad should be dressed at the table or right before it comes to the table – the greens should never sit soaking in the olive oil and vinegar. 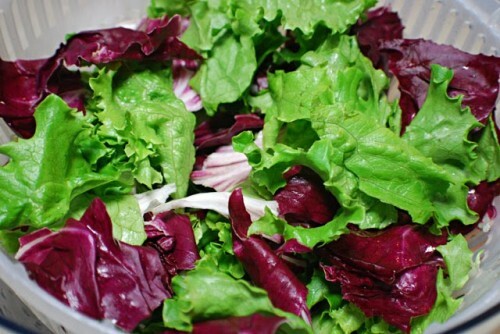 Try being Italian for awhile – leave the salad dressing bottles in the fridge and simply add a bit of olive oil, vinegar, salt and pepper to some fresh leafy salad greens. You may be surprised by what you taste for the very first time. Mangia! Mangia! – Gelato Crostini Anyone? One of the highlights of this summer was an invitation to spend two days at Carpigiani Gelato University, located just outside Bologna, on the historic Via Emilia, between Lavino di Mezzo and Anzola dell’Emilia. 48 hours of just thinking about gelato and, of course, tasting flavor after flavor of sorbet, semifreddo, granita, frozen yogurt, soft-serve, as well as, traditional Italian gelato. At the Gelato Lab, Carpigiani’s freestanding high-tech gelateria, two brand new flavors of gelato were introduced to the world on July 20 during the presentation of the 2011 Gelato Pioneers (more about this later). The two fascinating flavors were created by Gelato Maestro Luigi Perrucci in the Gelato Lab’s research and experimentation kitchen, using the most innovative of Carpigiani’s gelato and soft-serve machines. 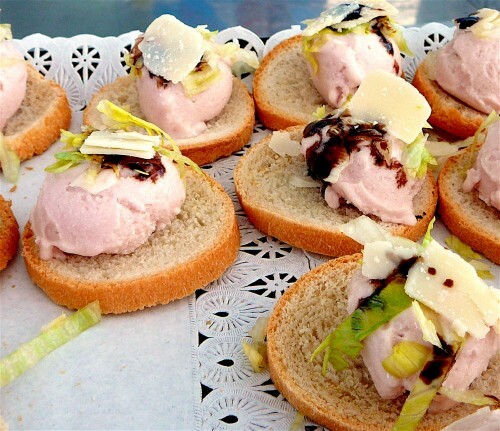 The crowd cheered as a tray of Mortadella Gelato “crostini” was presented. Mortadella is one of Bologna’s most famous foods, dating back five hundred years. 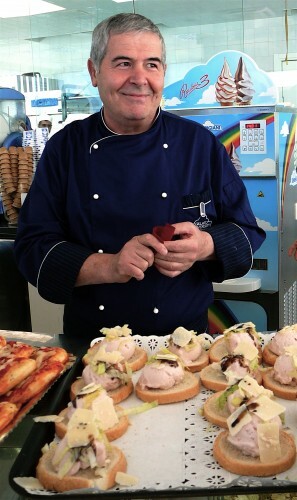 Maestro Luigi chose to serve his mortadella gelato on a small round slice of bread and top it with a shaving of Parmesan cheese, a squiggle of balsamic vinegar and bit of shredded lettuce. Made with a sorbet base, the pink gelato offered a true mortadella flavor without any fatty mouthfeel or aftertaste. The bread, balsamic, Parmesan and lettuce made it the perfect sandwich, albeit an icy cold one. 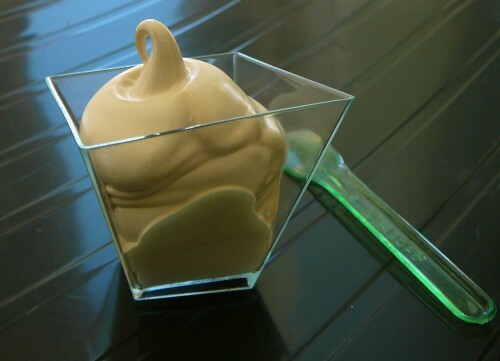 For dessert, Maestro Luigi offered a Balsamic Vinegar Soft Serve Gelato. Of the palest purple in color, made with a milk and egg base, the delightful swirl of gelato was sweet with a slight tangy aftertaste. 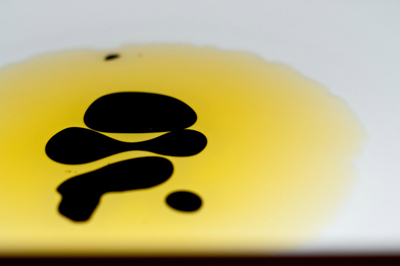 Balsamic vinegar is not vinegar per se. It begins with late-harvest grapes (usually white Trebbiano) grown near Modena. 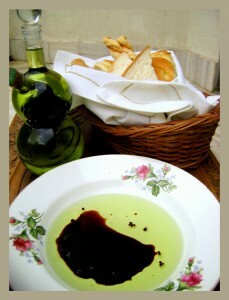 Traditional balsamic vinegar is thick and sweet and very very expensive. Carpigiani is known for pushing the envelop of the tradition Italian gelato experience. 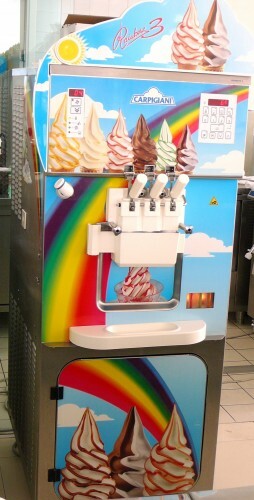 The company seeks to bring Italian gelato to the whole world. Mortadella gelato may not find its way into any gelateria on a regular basis (except for perhaps Humphry Slocombe in San Francisco and on the Food Channel’s Iron Chef), but the balsamic vinegar soft serve is a keeper.